Carter Custom Painting is your Mural Painting Expert located in the St. Louis area. Providing High Quality Mural Painting and Sign Painting for the St. Louis and surrounding areas. We have the talent to take on a huge exterior painting project or a small intimate interior mural project. With years of experience and hundreds of examples in our portfolio, you are sure to be pleased with our work. Custom murals to enhance your environment. If you have a unique idea you want to be painted we will do it. The cartoon style murals are the cheapest when your budget can’t afford a high detail work of art. I am still waiting for someone to come along with a photo-realism budget. The higher the detail in the mural, the more it costs, It takes a lot more hours to complete a mural with a high level of detail. Here are some examples below of past work. Custom Faux Finished Walls in any room. Faux finishes, custom logo, sports teams, oversized baseballs, footballs, soccer balls, and anything that would go well with the decor can be painted on your wall. Whether it is your kids room, a bathroom, dining room, man cave, basement, garage, or any other space in your home or business, custom painting can add a nice touch. Whether you are interested in custom hand painted murals or artwork for your home, business, restaurant or building – we are your one-stop resource for high-quality Creative Mural Designs and Art. From a wall in your home to a 100 foot outdoor promotion or advertisement on the side of a building we can paint it. We can create a design for you or work off your plans, sketch or ideas. Located south of St. Louis; we service residential and commercial clients in St. Louis, St. Louis County, West County, St Charles, and the surrounding areas. St. Louis, Mo. Past Projects. 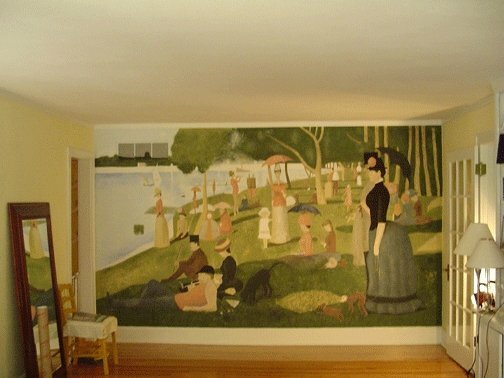 The cost per square foot (CPSqFt) will vary depending on the size and complexity of the mural. The price per square foot will range between $10 to $80 PSF for wall murals. Size is a big factor that goes into pricing a mural painting project. The larger the area to be painted, the higher it is above the ground, The more danger involved, the Higher the cost. In order to determine the total area to be painted, simply multiply the width times the height, in feet — this gives you the total area in square feet of your mural. Although the total project cost increases as the mural size increases, the cost per square foot (CPSqFt) will go down as size increases. In retail, this is equivalent to giving a volume discount to customers who place larger bulk orders. My pricing structure gives increasingly larger discounts as the total area increases. The complexity of design is the second factor which goes into pricing a mural. The Higher level of detail-realism in the mural design, the higher the price per square foot. 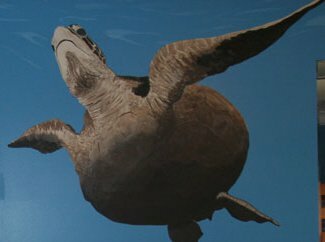 For example-Figures, Portraits, photo realism, and Trompe l’oeil details take time to paint, and including these elements increases the cost of the artwork. Being a St. Louis Artist I like to stay local for the most part. There will be an extra charge to travel. We can make a mural on canvas and mail it to a location also. It can be applied like a wallpaper mural, except it will be of higher quality on canvas.